I was wary about starting this series because of all of the mixed reviews that it received. I bought the first one used at a great price, so I could not turn it down. I am glad that I gave it a chance. From reading this first installment, Private seems like it can be a good series. Private was fast-paced and full of action. It was driven by a few very strong characters that I want to learn more about also. Jack Morgan suffers from PTSD but runs one of the best private investigation agencies in the world. Justine works for private and is a great female protagonist. I tend to think that comes from Patterson’s co-writer being Maxine Paetro on this one. She is also involved in the Women’s Murder Club series and I can see a lot of that in Justine’s character. Del Rio is a great supporting character for Jack. They are all very strong and lead certain parts of the story. I hope they stick around for more installments. The story itself was jam packed with different cases and lots of action. The main case was about missing school girls that turned up murdered. The other cases took a back seat role to this one. It is better to have one main storyline than to try to pay attention to all of them in an equal manner. The book would either be way too long or too confusing. I feel that it was done right with this one. I read most of the book in one sitting. I did not want to put it down. 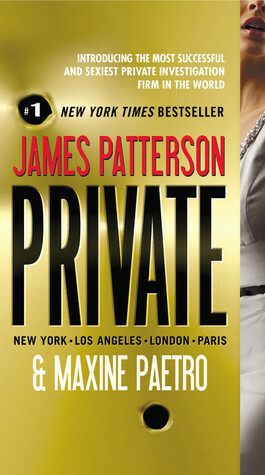 I am looking forward to reading the next installment in the Private series. Game Time by Bart Hopkins Jr.